Immigration Enforcement / Illegal Aliens Judge: Gov't must provide records or say why not By NEDRA PICKLER WASHINGTON (AP) — A judge has ordered the federal government to turn over documents related to the shooting of a fleeing drug smuggler or explain why it's withholding them. The shooting led to the imprisonment and presidential commutation of two U.S. Border Patrol agents. Judicial Watch, a conservative watchdog group, filed Freedom of Information Act requests two years ago with the departments of State, Justice and Homeland Security for records relating to the drug smuggler, Osvaldo Aldrete Davila. The departments did not provide any records, so the group filed a lawsuit in U.S. District Court in Washington. In response to the lawsuit, the government said the Davila records were "clearly exempt" from Freedom of Information Act requests because they would be an invasion of privacy. Therefore the government did not conduct a search for all relevant records. U.S. District Judge Richard Leon said the three departments must search relevant records and turn over any that are not exempt. It also must list any documents that are withheld and give a reason why so the court can review the decision. Davila, a Mexican, was transporting marijuana when he was shot by agents Ignacio Ramos and Jose Compean near El Paso on the Texas-Mexico border. The agents tried to cover up the shooting, but were eventually prosecuted and served two years before President George W. Bush released them on his final full day in office. Several conservative lawmakers supported Compean and Ramos and took up the men's case, asking Bush for the commutation. Many people considered their case a part of the national debate over illegal immigration. Davila testified against the agents and was granted immunity. Judicial Watch says it wants the government's records to answer questions about the prosecution of the agents and how regularly the Justice Department offers immunity to drug smugglers to help prosecute U.S. law enforcement officers. Turning Universities into Graveyards The cult of death, Islam, is marching forward under its battle cry: "We love death, the infidels love life," as Hassan Nasrullah, leader of Lebanon Hizbollah, says. There is no limit to the Shi'a mullahs' obsession with all matters dealing with death. . . .. . . the ever-conniving mullahs are gradually transforming Iran's universities, cradles of knowledge about life, to mausoleums. Instead of adorning the landscape with statues of great scientists and scholars to inspire the young to life achievement, the mullahs bring corpses of their victims and bury them there, victims who had been hoodwinked by the fascist Islamists and had lost their lives in implementing the schemes of Allah's frauds. . . . What everyone seems to miss here is the real reason for burying these so-called martyred Mullah heroes on university grounds. Not to honor them but to provide an excuse for Suppression Forces to enter the university grounds. By long standing rules, law enforcement agents are not allowed to enter university property on duty BUT who can stop them visiting the graves of their heroes? Even in large numbers. Lansing, Mich. – Feb. 27 from 12 p.m. to 1 p.m. at the state capitol building at 100 N. Capitol Ave. Lawmakers in 20 states move to reclaim sovereignty Obama's $1 trillion deficit-spending 'stimulus plan' seen as last straw. As the Obama administration attempts to push through Congress a nearly $1 trillion deficit spending plan that is weighted heavily toward advancing typically Democratic-supported social welfare programs, a rebellion against the growing dominance of federal control is beginning to spread at the state level. Another reason why there is a revolt brewing against government interference is their lack of common sense. There's no way to rule innocent men. The only power any government has is the power to crack down on criminals. Well, when there aren't enough criminals one makes them. One declares so many things to be a crime that it becomes impossible for men to live without breaking laws." - Atlas Shrugged. I really hate to see a bloody revolution in this nation, but if cops and prosecutors and the privileged government class (Obama, Reid, Pelosi, Clinton etc.) don't start showing some common sense, we will have to stop them. Couldn't the cops tell that the under aged girl was drunk? February 26, 2009 -- WASHINGTON - Congress went on a pork-a-palooza yesterday, approving a massive spending bill with big bucks for Hawaiian canoe trips, research into pig smells, and tattoo removal - all while the nation faces an economic crisis. Among the recipients of federal largesse is the Polynesian Voyaging Society of Honolulu, which got a $238,000 "earmark" in the bill. The group organizes sea voyages in ancient-style sailing canoes like theones that first brought settlers to Hawaii. The sailing club has a powerful wind at its back in the person of Sen.Daniel Inouye (D-Hawaii), the chairman of the Senate AppropriationsCommittee. The bill also has a whopping 8 percent increase over last year for the numerous federal agencies it funds. New York got its share of earmarks, among them $475,000 to "improve and expand" the Italian American Museum in Little Italy. The project was pushed by New York Reps. Gary Ackerman and Jerrold Nadler. The latter touted it, among other earmarks, on his Web site. Nadler also announced $4.5 million for new park development in Manhattan. Uncle Sam's generosity (with YOUR money) extends upstate, where there's $950,000 to convert a railroad bridge over the Hudson River into a walkway in Poughkeepsie. Earmarks totaled at least $3.8 billion - a figure used by the House Appropriations Committee. But the watchdog group Taxpayers for Common Sense calculates that there are an astonishing 8,570 earmarks at a cost of $7.7 billion. The bill, which critics slammed as larded with pork, has big bucks to combat putrid stenches in the heartland, with $1.7 million for "Swine Odor and Manure Management Research." That's on top of $1.9 million in each of the last two years, or nearly $6 million over the last three years. The swine research center, at Iowa State University in Ames, got funds through the Agricultural Research Service, and aims to improve the smell of animals and the lagoons where waste is stored. There's funding for mosquito trapping in Gainesville, Fla. - requested by Rep. Rosa DeLauro of Connecticut. The research deals with the West Nile virus, and was funded at $1.2 million in each of the last two years. The House packaged the bill from several spending measures held over from last year. It needs to pass the Senate and be signed into law by President Obama. Republican Sen. John McCain of Arizona, whom Obama vanquished in November, is calling on the president to veto it. But Democratic leaders say the spending spree was a bipartisan affair, with up to 40 percent of the earmarks coming from Republicans. Obama has criticized earmarks and insisted they be kept out of stimulus legislation - a suggestion that drew (sarcastic) laughs from Republicans at the president's address to Congress Tuesday night. Another earmark, by Rep. Howard Berman (D-Calif.) provides $200,000 for a "tattoo-removal violence-outreach program" in Los Angeles. The funds would buy a tattoo-removal machine to help gang members erase signs of their past. Meanwhile, Obama is set to unveil a proposal today that sets aside $634 billion over the next 10 years for health-care reform. He plans to pay for it, in part, by capping tax deductions for families that earn more than $250,000 a year. And not just in HEALTHCARE but in our MORTGAGES and all the other pork rinds that "g*d d*mn America listener", O-Khomeini had in his wealth distribution bill, where we, not him, pay for others who do not deserve it. Including for his illegal aunt in public housing at our expense and not her millionaire nephew's, who suddenly qualifies her for a formerly refused visa! AND refreshed and encouraged by our O-Khomeini President, islamic iran has announced its intention to eradicate the Bahai faith, which is not only a work-around to enforce the new apostasy death penalty on Bahais but another strike at Israel, where the Bahai religion is headquartered. I am neither a Jew nor a Bahai but O-Khomeini's pro-islamic , marxistic and anti-American actions. 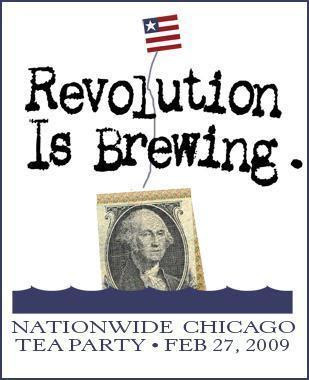 though pretending he is looking out for us, is turning more and more real Americans to turn to Boston-type "tea parties" as a prelude to have a so-called "revolution" (apparently by various States and members of "we the people" against the unfunded or "illegal" Federal government mandates imposed on them) FOR America before he can totally implement his destructive take over. The first scattershot, little publicized (except locally), tea parties are next Friday in some 25 locations. Next round will have centralized lists posted all over the Internet so more and more will know where to attend at somewhere close to them. I have had first hand experience, being caught up by and observing two revolutions and knowing others who went through the Soviet one, so perhaps I have an early feel for what Obama is doing to the USA and watching people and States react to the same kind of realization. Instead of an estimated one thousand tea drinkers like this time, there will be many thousands as the anti-usurper flame catches the ready tinder. Not his obedient ACORN and the $BILLIONS O-Khomeini has set aside for them, nor the Million man Civil Security Force he has yet to unleash on us, will suffice to stop the millions and millions, who NEITHER voted for him nor trust him. This is NOT something any of us individuals promote or encourage but something his actions encourage and trigger. In our opinion. It is an observation of simultaneous events that have begun at a grassroots level without any specific political basis or incitement or clear starting point. NOR is anything in all this here intended to be, nor is it inflamatory NOR a threat of any kind on him, his office, or anyone close to him or part of his administration. Nor anyone anywhere. It is however, in our opinion, clearly a demonstration of free speech by "we the people" and protest at the destruction of our Constitution, society, beliefs and well-being he is deceptively flushing onto us. As someone said in serious jest, as per our Constitution we will keep our guns, our God and our money -- you keep the "CHANGE"! Both Obama and Clinton received so much Saudi and Islamic money for their election campaigns that they now have to pay it back by removing Israel off the face of the map as demanded by islamic iran and supported by Islamic countries. Durban II has proved a good way to do this without appearing to do so. The efforts are still uncoordinated and not well thought out. Friday 11 am till noon (lunch hour break?) - middle of th ework day may not be the best timing but the concept is fine and fits other uncoordinated reactions. Several States are now passing State legislature bills to nullify the federal government's "illegal" mandates and usurping of State powers where even certain federal crimes cannot be imposed on the States. New Hampshire is a path finder in this. Others are writing bills to avoid having to accept Federal monies on the one hand and on the other, knowing they only receive some 70 cents for every dollar they send to the Feds, to stop paying Federal monies. Then, like in Texas, independent action to deal with a federal situation, for the challenges from Mexico. Getting no response to several requests to the Obama Administration for help with Mexican drug gangs creating riots around El Paso and other border regions, Texas has just put its National Guard on Red Alert for the first time ever. Texas' State Constitution also already has a clause permitting seccession. Other States may have such clauses but will quickly pass legislation to allow them to seccede and quickly form regional alliances with neighboring states. Estimates show that the USA, instead of becoming the Obama USSA (United Socialist States of America) will break up into eight regional alliances. NON-Communist - with names to be decided. But Obama-Khomeini will have achieved the plan of his Islamist and Communist masters and his own ideals - in one thing. The destruction of the USA as a nation and world power. Last week a Mullah bill passed making changing your religion or apostasy (from islam to anything else) a MANDATORY DEATH SENTENCE. Not simply as a Koranic teaching but now as the official law of the land. Although the Bahai religion is pragmatically a form of islam, it is not completely accepted as a true religion by the Mullah Shias and competes with their 12th Imamers, since Baha was supposed to be the 12th Imam. Now a bill in the islamic regime of iran's "parliament" is being passed to make political views a crime! Any activities or words that dissent with or oppose the Mullah political line can be punished with imprisonment and death. Any gatherings - FOR ANY REASON - that the regime does not approve merit the same penalties. Again, any reason. Taken to an extreme a funeral gathering around a corpse the regime never liked can come under this catch-all law. Any demonstration without written permission from the regime automatically calls up prison or death. Assuming the Bassiji Suppression forces fail to maim or kill you first right on the spot. Any comments about any of the leadership comes under dissent and although currently met unofficially with arrest, torture and too often "private" execution where the person disappears for eternity never to be seen, can now be formally adjudicated. (Whatever that means in the Mullah regime, where they do what they want with or without laws). FULL BIBLE ON ONE PAGE!! !